The owner of this Martha’s Vineyard property was updating the kitchen and wanted to replace the vinyl flooring with something that would brighten up the room and would not wear out as fast. 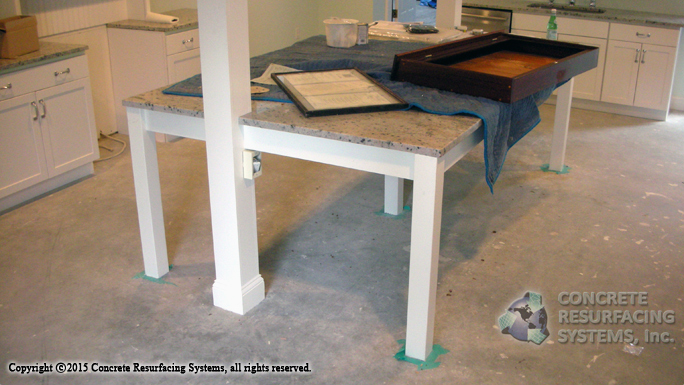 After seeing an article in an home design magazine showing epoxy flooring on a concrete slab home, they contacted Concrete Resurfacing Systems, Inc. The old flooring and adhesive residue were removed, then small surface defects were filled and sanded to prepare the concrete for resinous flooring. 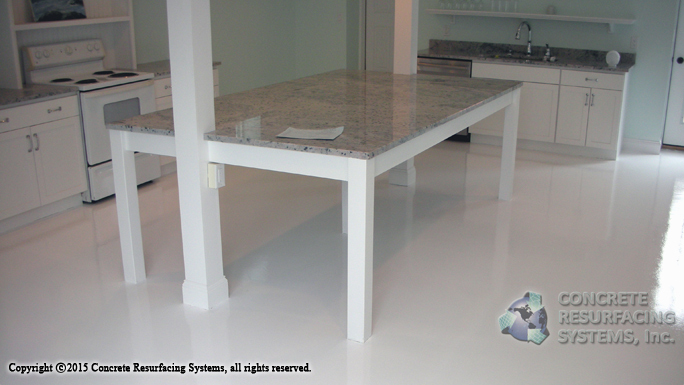 To finish, a white 100% solids epoxy primer base was applied, followed by a white high gloss Urethane top coat — the result: a bright, durable and easy to clean seamless floor.